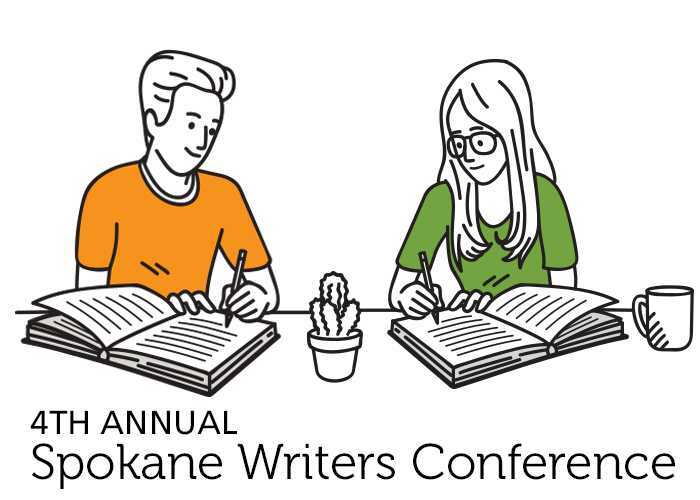 I’m delighted to be presenting “The Heart of the Matter: The Art of the Interview,” at the 4th annual Spokane Writer Conference, Saturday October 20 at 10:15. Maybe you have this amazing grandfather who served in WWll and you want to preserve his story, but he gives you one-word answers. Perhaps you know a fabulous woman who is quietly helping homeless teens, but she’s loath to talk about herself. We’ll discuss interviewing methods that focus on having conversations that allow the speakers’ natural light to shine. In this workshop, we’ll discuss how to ask the questions that will give you the information you need. And you’ll learn how to glean information from body language and how to use the context of a story to help you pinpoint the direction you’d like to go. There are only a few spots left! Did I mention it’s FREE? I’d love to see you at this class, so don’t delay. Click here to register today. August 12 marked my network television debut on Spokane Talks on KAYU Fox 28. Let me tell you, nothing prepares you for seeing your face on a big screen TV! It’s enough to make one want to stick to the blessed anonymity of keyboards and newspaper columns. Honestly, taping my Front Porch segments aren’t as painful as they appear on TV. If you missed the program you can watch it here. The Front Porch segment starts around the 21:45 mark. It’s all fun and games ’til that camera starts rolling! Tune into Spokane Talks, Sundays at 6 PM on KAYU FOX 28. Glancing at the clock, I fastened my earrings and scanned the room for my gold sandals. My date was on the way to pick me up, and I didn’t want to keep him waiting. Honestly, he wouldn’t complain too much if I did. He’s kind of used to it. We’ve been dating for 33 years. Yep. My husband and I still date, and with our nest gradually emptying, we’ve resumed dates that actually involve leaving the house and going someplace other than Home Depot or Albertsons. Dates that require advance planning which translates into eager anticipation. When our boys were little, date night meant putting them all to bed by 8, enjoying a candlelit dinner at our dining room table and renting a movie from Hastings. It also only happened once a month, due to sheer busyness and exhaustion. This year, with more freedom in time and budget, we’ve instituted weekly dates. Dinner and a movie are nice, but we’ve upped the ante on our adventures. As a result, we’ve been exploring and enjoying our hometown. For example, late this spring when the Spokane River was at its peak, we dined on the patio at Clinkerdagger’s, shopped in the Flour Mill, spied on the marmots scampering on nearby rocks and snapped a selfie with the river behind us. But dates don’t need to be spendy. One hot sunny Saturday, we played tourist and explored Manito Park in all its glory. We encountered some real tourists in the Perennial Garden. “Spokane is just like a mini-Seattle!” one of them exclaimed. Them there is fightin’ words to this hometown girl, but Derek distracted me by pointing out a large butterfly perched nearby. We skipped the Duck Pond because many years ago, our son, Alex, took an unplanned dip in the pond’s murky waters during a family picnic. We’re still traumatized by the memory of trying to clean duck poop off the kid in a park bathroom. “I told him not to run on those rocks. They’re slippery, I said,” Derek muttered as we skirted the pond. Our weekly dates have also included local attractions that we’ve always meant to get to, but never had the time – the Spokane Valley Heritage Museum, for one. When we read the museum was hosting a traveling Smithsonian exhibit, “Mail Call,” we took a Friday afternoon off from work and checked it out. The exhibit tells the history of the military mail system and featured personal stories of service and family bonds, told through documents, photos, audio recordings and handwritten letters. We were charmed by the unique museum and its friendly staff. Last Saturday, we enjoyed a lingering summer date in the West Central neighborhood. We started the evening with appetizers at The Wandering Table in Kendall Yards, and then wandered across the street to the Maryhill Winery tasting room. The Maryhill patio, liberally dotted with umbrella’d tables, is quickly becoming our favorite spot to unwind, enjoy a glass of wine and soak in the spectacular views of the river, downtown and the Centennial Trail. From Kendall Yards, we drove west to a Spokane landmark – Doyle’s Ice Cream Parlor. Though he’s lived in Spokane more than 40 years, Derek had never been to the iconic seasonal shop. We sat in the red Adirondack chairs out front, enjoying huge scoops of licorice ice cream and watching the steady stream of people ebb and flow from the busy shop. As we savored each bite, we had our usual marital discussions of what the work week ahead looked like, the status of our August vacation plans, and where we’d like to go on future dates. We’d saved the newspaper’s guide to area parks and plan to start working our way through a list of parks we want to explore. Sunday’s story on city staircases gave us some new destinations to contemplate. Sure, sometimes dates are simply Netflix, pizza and jammies at home, but going out on the town adds intentional enjoyment. Especially, when you have the day circled in red on your calendar. Anticipation. That’s what makes dating so much fun. On Sunday, May 27, Louie Anderson slipped the bonds of Earth and flew to be with his beloved Barb. He and Barbara enjoyed 71 years of marriage and because they lived close to my home, I got to spend quite a bit of time with them. The photo below watched over me from my filing cabinet as I wrote War Bonds: Love Stories from the Greatest Generation. It shows Louie and his flight crew looking impossibly young and irrepressibly confident. Their 22-year-old leader, first pilot Louis Anderson sits on his haunches in the front row, far left. The photo was snapped as the 10 young men prepared to depart for Chelveston, England. It was May 1944 and the crew of the G-model Flying Fortress eagerly anticipated getting their licks in against the enemy. “A ship in our left wing got hit,” Louis said. He and his men watched in dismay as the ball turret gunner fell from his turret and hung suspended by his foot. Many B-17 crew members considered the ball turret the worst position on the aircraft. The gunner was confined in a sphere fastened to the underside of the plane. Louis cleared his throat. “I had to explain to the fellows that he was no longer with us.” After 45 seconds the gunner fell from the aircraft. When Barbara died in November, Louie’s already declining health, worsened. And he got his wish, but not before he was awarded a special Quilt of Valor made by the quilting group at Fairwood Retirement Community. Barbara was an avid quilter and she would be delighted to know of Louie’s gift. He received the quilt, Saturday. He passed away Sunday. And on Memorial Day I will be thinking of them both. When Janet Hegdahl, 16, found out her family was moving from Portland to Spokane in the fall of 1955, she didn’t jump for joy. “I’d just gotten a job at the library,” she recalled. Her unhappiness about the move melted away the first Sunday her family attended Trinity United Presbyterian Church. That’s when she saw Jack Arkills singing in the choir and thought church just might be the right place to meet a guy. Jack noticed her as well and made a beeline for her as soon as the service ended. He was the youth director and Sunday School superintendent, and he wanted to invite her to the youth meeting that evening. “It was instant for me,” he said. They both attended Lewis and Clark High School and saw each other between classes and after school. On one of their first dates, they saw the movie “High Society,” and when Bing Crosby crooned “True Love” to Grace Kelly, it became their song. Jack already had a connection to Bing Crosby – he’d caddied for Crosby at Indian Canyon in the late ’40s. “Bing was a big tipper,” he recalled. In May 1957, Jack dashed into the downtown library where Janet was working. It was the day of the Armed Forces Torchlight Parade, and he was scheduled to march with his National Guard unit. It was also Janet’s 18th birthday. “I had a ring in my pocket,” Jack said. And off he ran to march in the parade. Jack had graduated from high school and was working for the Great Northern Railroad. “I wanted to go to Whitworth and be a minister, but pretty soon I was making more than my friends who were teachers,” he said. Janet had received a scholarship to Eastern Washington University, so they married March 21, 1958, during spring break. She sewed her tea-length lace wedding gown, and they said their wedding was the last one held at Trinity United Presbyterian, which soon closed its doors. They settled in an apartment in Browne’s Addition, and almost a year after their wedding, their son, Chris, was born. “We had a 2-week-old on our first anniversary,” Janet said, smiling. Thirteen months later, son Scott arrived and Janet’s college education was put on hold. Daughter, Amy, completed the family in 1962, and they settled into a house in the Garland District. The family made First Presbyterian their church and it quickly became the center of their lives. Janet became the church librarian, a position she still holds, 55 years later, and Jack joined the choir, and yes, he still sings in it. Their lives took a drastic turn in 1966 when Jack was severely injured in a train derailment. He was on top of the train to tie a handbrake and got knocked off during the derailment. “I landed on my back on the track,” he said. He broke his arm and had six fractures in his sacrum. For two long weeks, he had no sensation in his legs. Janet, 25, didn’t know how to drive, but a neighbor taught her during her frequent trips to the hospital. With three children, a mortgage and her husband’s recuperation uncertain, Janet returned to work at Spokane Public Library. She ended up working at all three Shadle branch locations, as well as the Indian Trail branch. “I’ve always been addicted to reading and to studying,” she said. Indeed. She started night school, picking up a class here and there, until 25 years after she began her college career, she graduated from EWU. Meanwhile, Jack was able to return to work on the railroad. Not only was he able to walk, he started to run. And run. And run some more. Eventually, he ran five marathons. The family moved to the South Hill in 1979, and when the kids flew the nest, Jack and Janet built their dream house – a passive solar home on Moran Prairie. In 1987, Jack was diagnosed with polymyostis, a rare inflammatory disease that causes muscle weakness. He retired from the railroad in 1991, though the disease eventually went into remission. He’s always been the head cook in the family. “I’d put something on and go off and read and wouldn’t you know it? It burned,” she said. She retired from the library in 2004. Her career spanned the years from handwritten check out cards, to bar codes. From card catalogs to digital catalogs, and she relished every minute. For many years, the couple have been members of Friendship Force International, a nonprofit organization and hospitality service with the mission of improving intercultural relations, cultural diplomacy, and intercultural competence via homestays. The Arkills have traveled across the globe, including stops in Australia, France, Germany and Tasmania. Jack survived a bout of esophageal cancer, and 14 years ago they moved to Riverview, where they continue to be active and involved. Janet marvels that the move to Spokane which she so despaired of, ended up giving her the love of her life, and she sees the hand of the Divine at work. “The Lord led us together and He’s kept us together,” she said. Looking at Jack, she smiled. As for Jack, the thunderbolt that hit him more than 60 years ago, hasn’t worn off.